Anyhoo! Rant over, work week over, wedding invitations - nearly over - I'm composed and ready for a blog! The holiday. 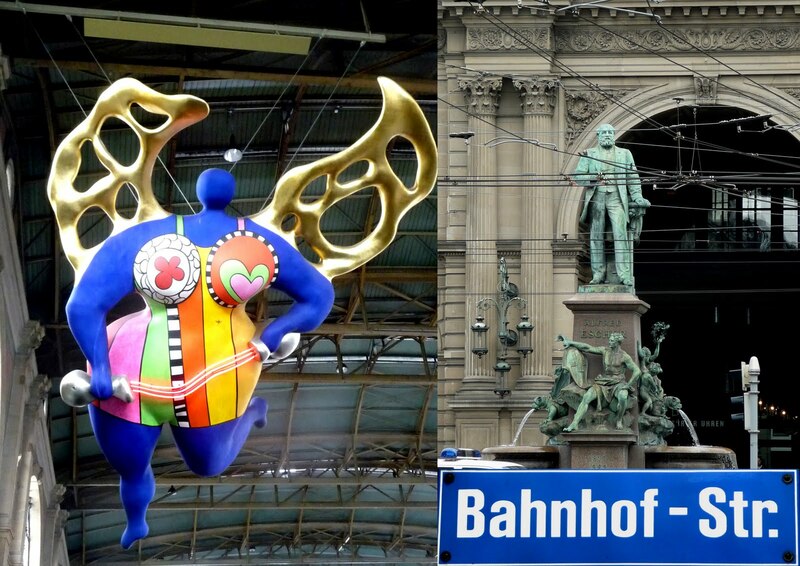 I choose to visit Switzerland for two reasons. Firstly - because I have very dear friends who live there and secondly - because I love it! Whenever I visit I feel like I have received an injection of happiness and that keeps me ticking over until my next visit. 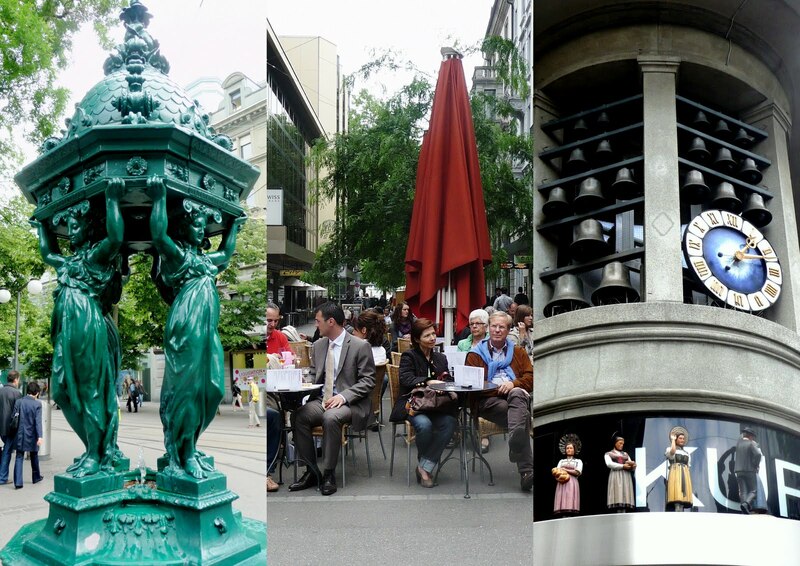 I don't 'do' Switzerland in any lavish style - in fact part of what I love about it is that to enjoy it, it is not necessary to do so in a lavish way (though there is certainly evidence all around of many who can afford to - and do so - with bells on!). From the moment I arrive in the country I sense an atmosphere of prosperity. A country where everything seems to be well cared for, which has a wonderful transport system - and it is stunningly beautiful. But there's no getting away from the fact that it is expensive! This year, more than any other, I noticed how much more expensive it had become - for little old me (£1.00 bought CHF1.29 - ouch!). 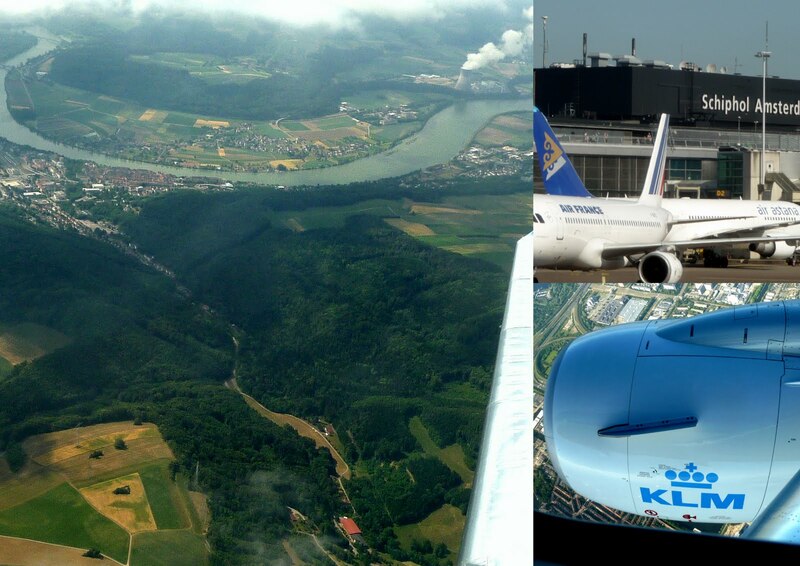 I travelled via Amsterdam and everything went like clockwork - in fact our flight was 20 minutes early when we approached Zurich airport but there was no landing slot available to us so we had to circle Zurich a few times before we could land. The sky above was clear blue, the cotton-wool like carpet of clouds below were ultra bright, ultra white - and in the distance the mountain tops peeped through the clouds. 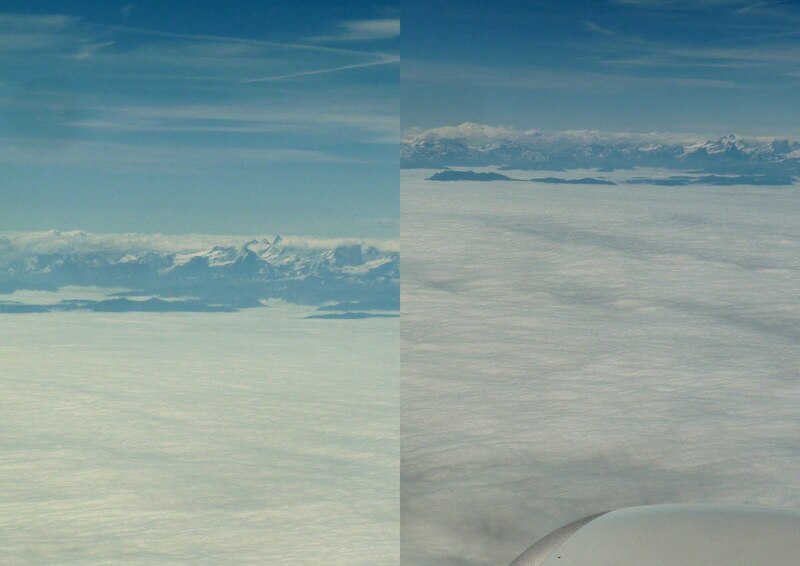 As we awaited permission to land we were treated to an an amazing mountain peaks' skyride as we circled high above the clouds over Zurich! 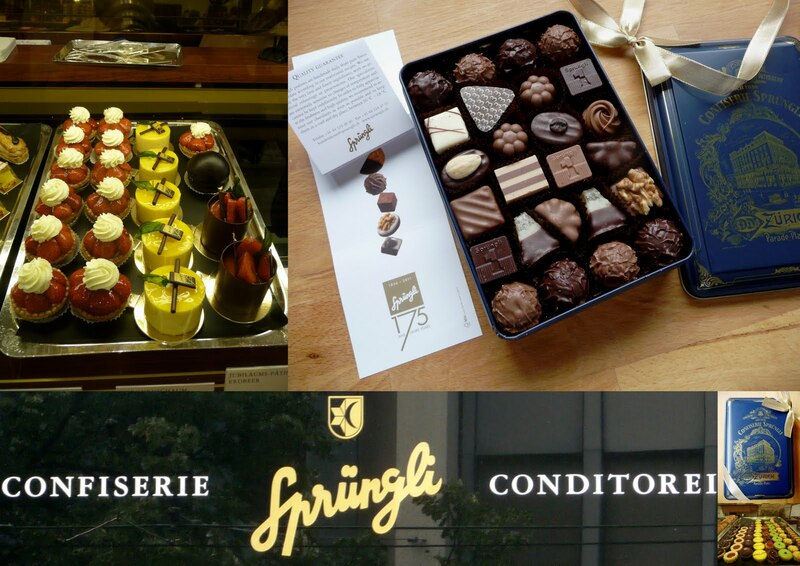 from Sprungli, who, I am reliably informed make the best chocolate in Swizerland (tasted pretty good to me, and should have, as the little blue box of goodies - top right pic - cost around £32.00 for only the one layer of chocs!). Sorry to be crass but just to give you an idea.....! 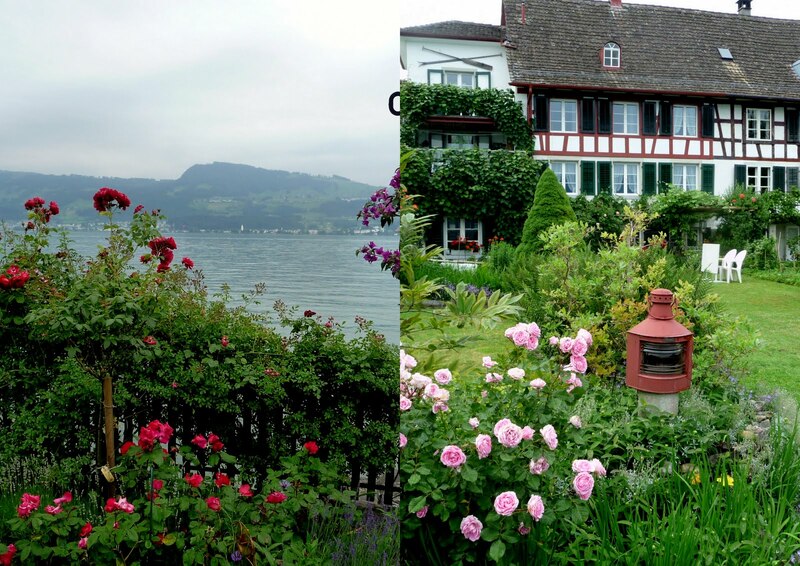 In the afternoon and evening I visited with friends, relaxed, then had a BBQ overlooking Lake Zurich. During my recent trip to the mountains in Switzerland I was out of touch with the rest of the world. No TV where I stayed; intermittent radio access in a language I can only speak/understand in a limited fashion and newspapers that were of no interest to me. My mobile phone was used only to advise that I had landed in one piece and then to request to be picked up on my return - and I did not miss any of these taken-for-granted mediums one iota! However, I have to admit that towards the end of the week I was having withdrawal symptoms from the lack of access to my hotmail account and the internet in general. I have now been home for a few hours and I have already had a quick fix on the computer - and I feel better already! Do you use the "Stats" information provided by Blogger perchance? I ask, because I do look at my stats from time to time and it seems that while I have been away, the number of readers of my blog has quadrupled for some strange reason! Was it something I said? I've had a quick peek and I can see I have quite a bit of blog catching up to do - plus hundreds of photographs to sift through (no doubt deleting the majority of them) - so I hope the old pc has benefitted from the lack of use during this past week because I've a feeling it could be red hot by the time the weekend is over!